Apple's current Find My Friends app lets iPhone and iPad users spot acquaintances on a map, but an invention detailed on Tuesday takes things to a whole new level with path tracking and route following. 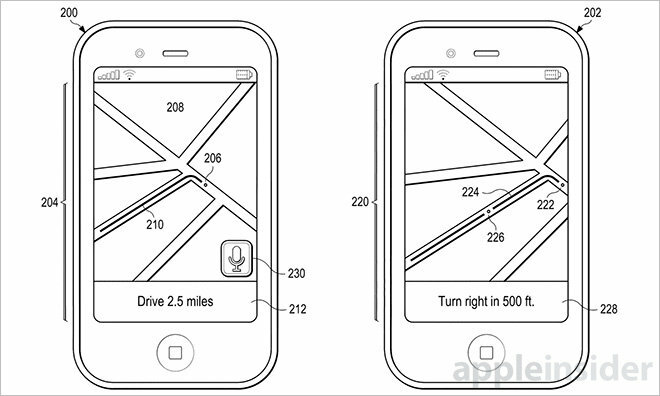 Awarded to Apple by the U.S. Patent and Trademark Office, U.S. Patent No. 8,989,773 for "Sharing location information among devices" describes a method by which an iPhone or cellular-connected iPad can, after authorization, be provided location and path information from another Apple device. This data is visualized as a route on a mapping app, such as Apple Maps, allowing the first user to follow the second user in real time. 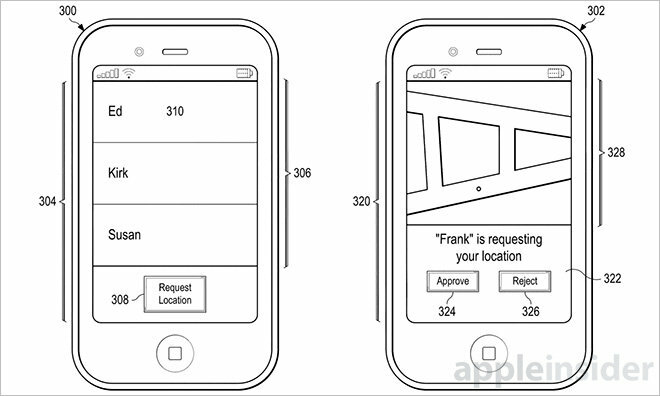 With Apple's current Find My Friends app, users can share their location with others based on a set of rules. For example, a first user can share their specific location for a set amount of time, while more advanced features let parents keep track of children using geofence-based alerts. Tuesday's invention goes one step further and adds path data into the mix. Path tracking, or recording multiple points along a given route, has been a tentpole GPS feature since the early days of portable systems. Certain apps support such functionality, but most mainstream solutions eschew the data, due in part to privacy concerns. Path data is, however, a powerful navigation aid. 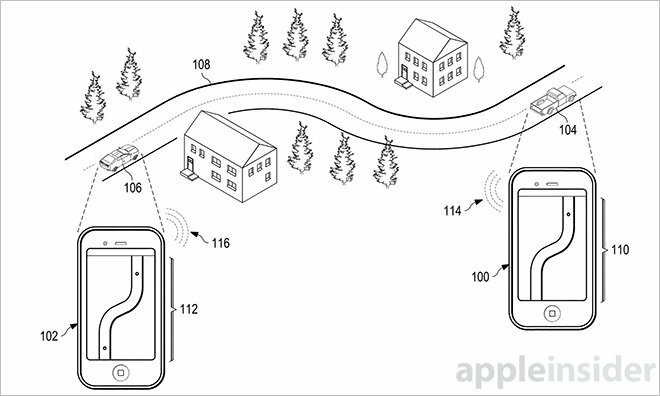 Described in Apple's patent, a first user can grant a second user or group access to streaming path data over any number of communications platforms. Cellular wireless is mentioned, as is routing data through cloud services like iCloud. Other embodiments call for direct peer-to-peer communications like Bluetooth. Along with a current location marker, the first device can broadcast previous positions that show up as a route on the second device. In addition to the first device's location and path, a suitable user interface would also reveal the position of the second device in relation to the generated route. Another embodiment called "mirroring" mode lets the second user see exactly what the first user is looking at on their screen, including map features, points of interest and other data all the way down to zoom level. A third mode configures the second device's UI to receive directions that lead to a location provided by the first device. Spoken or on-display directions do not need to specifically follow a path taken by the first user, however, as a more efficient route may be available based on the second user's location. Thus, directions are generated dynamically on the second device. Other embodiments include sending voice or text messages back and forth between devices, useful for warning followers of upcoming hazards. Interestingly, Apple's invention notes either one or both devices can be carried by animals or even robots. Beacon tracking has become a small cottage industry and path tracking would be an ideal solution for moving objects, but issues with battery life and data connectivity leave most solutions wanting. Apple's friend tracking patent was first filed for in January 2013 and credits Eran Sandel, Elad Harush, and Roman Guy as its inventors.